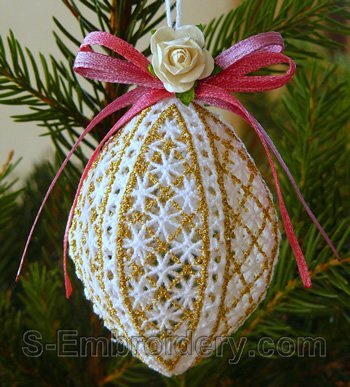 This free standing lace machine embroidery design will produce a nice 3D Christmas ornament with a size of approximately 2.6 x 2 inches (6.5 x 5 cm). The design, including the hanging loop, is stitched out in a single hoop. 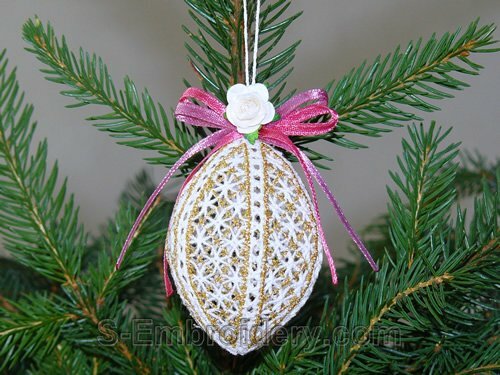 Creating the 3D ornament for your Christmas decoration is rather straightforward. All you need to do after stitching the lace is use some manual stitches. You receive 1 machine embroidery file and 1 PDF file with design information and instructions.